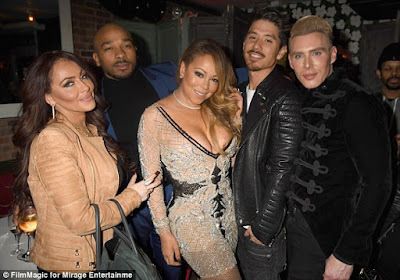 Mariah Carey stepped out with her new boyfriend and backup dancer, Bryan Tanaka,33 at the viewing party for reality series Mariah's World in New York City on Sunday night. 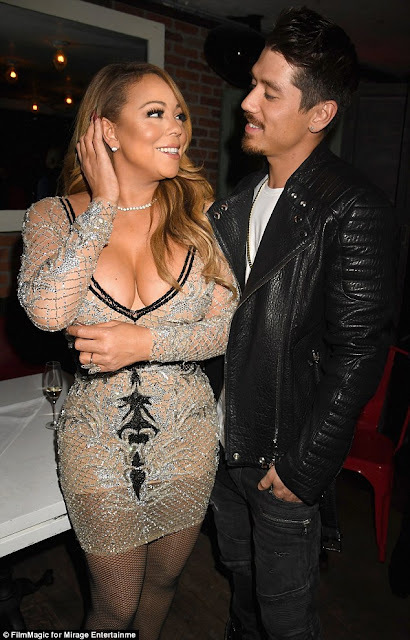 It appears the 46 year old star is following in Jenifer Lopez's footsteps by going for her backup dancer. More pics below. The curve on Ebube Nwagbo.... O dikwa tempting!